In this article we initiate an in-depth conversation about Transnationalism and how this framework can benefit nursing science in exploring and understanding immigrant health. 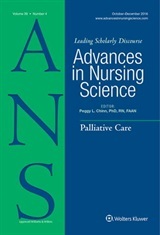 This framework provides an innovative approach for nursing research, encompassing all aspects of the research process: research design, method, analysis, and dissemination strategies. Nursing research about immigrant health continues to be dominated by concepts such as assimilation and acculturation despite a shift in how approaches to everyday life communications have changed with the advent of social media and smart-phones. Given rapid technological advancements and globalization, nursing research among contemporary immigrants needs to reflect the current trends of trans-border communication and resource sharing and how these trends affect health outcomes among contemporary immigrants. As stated in the article “Nurse researchers can use transnationalism as an approach to explore and interpret the complex health and social experiences of contemporary immigrant among study participants. Such level of exploration will reflect health equity research design and will promote change at the core of health disparities specific to contemporary immigrant populations. As we continue this conversation the goal is to move beyond the application of transnationalism in nursing research and explore how it translates to nursing praxis in promoting immigrant health. I became interested in this framework while investigating how Haitian immigrants defined and managed their hypertension. While searching, reading and writing about the historical and political aspects of this immigrant group, I started to see something that was very interesting and that I had not seen in other nursing research projects about immigrants. I realized that in order to fully have a holistic view of this particular population and their health I needed to consider their country of birth in addition to their current place of residence (US). I found that Transnationalism was the ideal framework to explicate this phenomenon. Co-authors Dr. Boutain and Dr. Mohammed were instrumental in helping me hone in on this phenomenon throughout the research process. During my interviews with participants, I found they had indeed created transnational identities. Participants reported using resources from their home country (country of birth) and host country (country of residence) to manage their disease. Their transnational identity influenced every aspects of their lives not only from a health promotion and disease management (e.g. receiving cultural medicines from home country) standpoint but also from economic (e.g. using their meager wage in the host country to send remittance to their home country) and political (e.g. supporting a presidential candidate in home country) standpoints. Participants were neither interested in assimilating, nor acculturating into the “melting pot” of contemporary US culture. They took pride in who they were, their culture and their heritage and had no intentions of forgoing their culture while making a life here in the US. Instead, they found a way to live within the geographic borders of the two countries. I found that the delineation of the concepts of assimilation and acculturation may not ring true for all immigrant groups; especially for contemporary immigrants who maintain strong ties with their home country. Persisting in using the terms assimilation or acculturation among contemporary immigrants may prevent nursing researchers from fully grasping the immigrants’ experiences that increasingly transcend geographical and political borders and thus may result in inaccurate or incomplete data. Transnationalism shows promise for advancing nursing science as it allows for holistic approach in nursing research and praxis among contemporary immigrants.